The American Alligator (Alligator mississippiensis) is a large crocodilian species endemic to the southeastern United States. 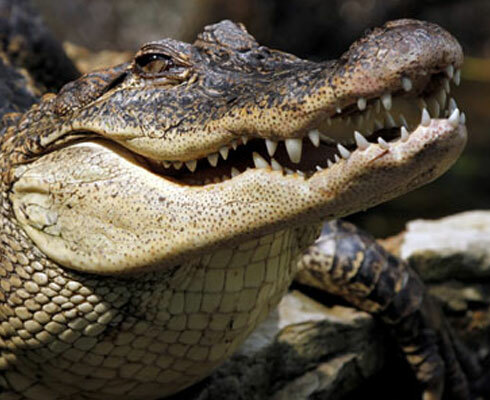 It is one of two living species in the genus Alligator. 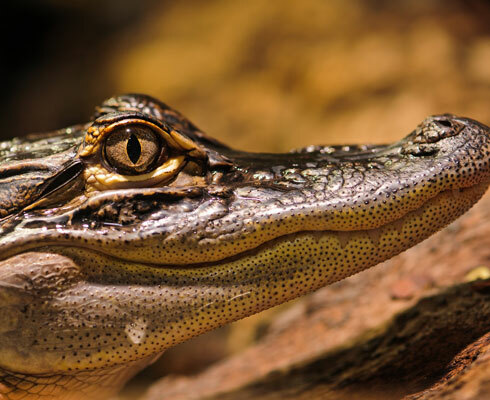 The American alligator inhabits freshwater wetlands, such as marshes and cypress swamps from Texas to North Carolina. It is distinguished from the American crocodile by its broader snout, with overlapping jaws and darker coloration, and is less tolerant of seawater. The American alligator is a fairly large species of crocodilian, with males reaching an average maximum size of 4.6 meters in length, weighing up to 453 kg, while females grow to a maximum of 3 meters. The largest reported size was a male killed in 1890 on Marsh Island, Louisiana and reportedly measured 5.8 meters in length. 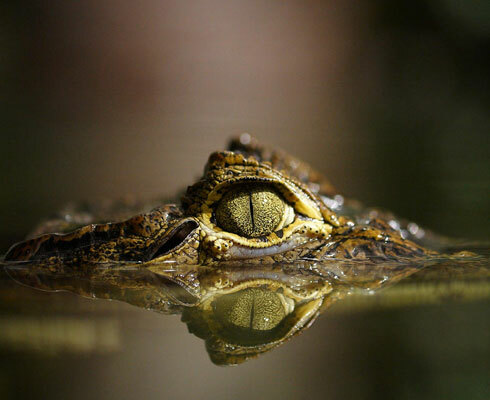 Alligators are also apex predators and consume fish, amphibians, reptiles, birds and mammals. Hatchlings feed mostly on invertebrates. Alligators also play important roles in wetland ecosystems through the creation of “alligator holes” which provide wetter or drier habitats for other organisms. Unlike Nile crocodiles, alligator eggs are laid above ground in a nest of vegetation, sticks, leaves, and mud in a sheltered spot in or near water. Very often the nest may be constructed on floating reed mats and be surrounded completely by water. Young are born with yellow bands around their bodies and are protected by their mother. The American alligator is also listed on Appendix II of CITES. Historically, hunting has decimated their numbers and the species was once listed as endangered under the Endangered Species Act of 1973. 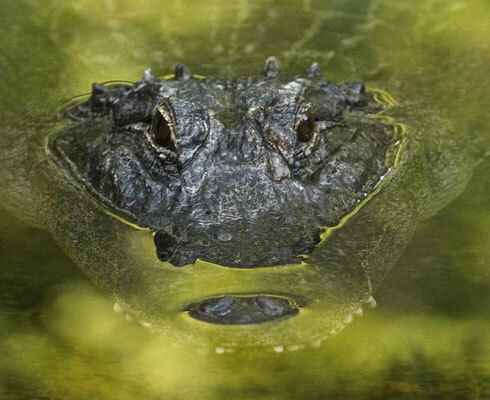 Significant conservation efforts were implemented that resulted in an increase in alligator numbers and the species was removed from the endangered list in 1987. This is regarded as one of the most successful species conservation programs ever implemented. The alligator is the official state reptile of the three southern states in which the majority of the population occurs – Florida, Louisiana and Mississippi.